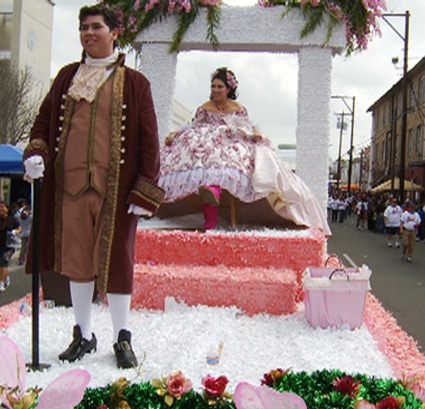 One of the largest celebrations of George Washington’s birthday in the world takes place in the border town of Laredo, Texas. This 116-year-old tradition has evolved into an entire month of inventive reenactments and bicultural celebrations, many of them involving their Mexican sister city, Nuevo Laredo. The most preeminent event of them all, however, is the invitation-only Colonial Ball hosted by the elite Society of Martha Washington. 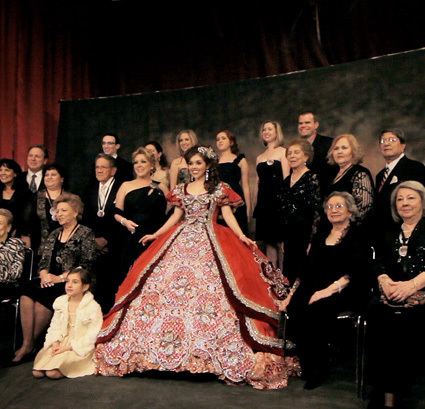 Laurita is the thirteenth young woman in her family to debut. 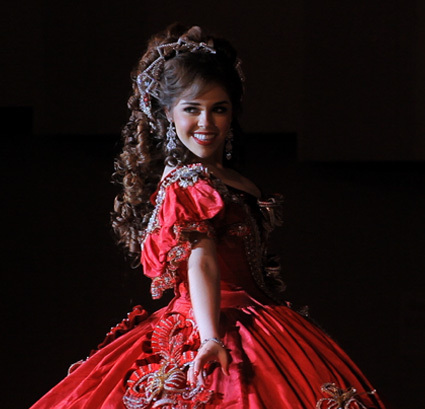 Her legacy dates back to the original Spanish land grantees in Laredo. As she reminds us, South Texas used to be part of Mexico: “We didn’t cross the border. The border crossed us.” But Laurita constantly wavers between embracing and questioning the ritual. Cristina Ibarra is an award-winning Chicana filmmaker from the U.S.-Mexico border between El Paso, Texas and Juarez, Mexico. 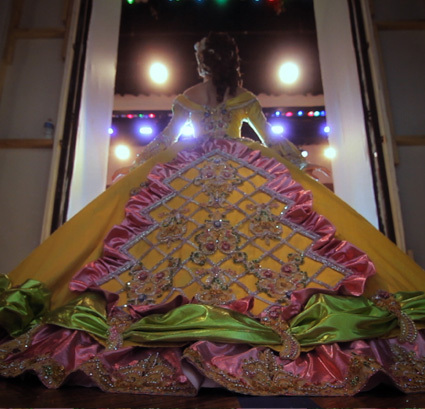 Her critically-acclaimed documentary The Last Conquistadorhad a national broadcast on PBS’s P.O.V. Her short narrative film, Dirty Laundry: A Homemade Telenovela, won multiple awards at festivals and was broadcast nationwide on the PBS seriesColorVision. Ibarra wrote and directed the narrative mini-film Wheels of Change for the New York International Latino Film Festival to play before every feature film screening. Latino Public Broadcasting funded her comedic interstitialGrandma’s Hip Hop. She is a founding member of Fulana, a Latina interdisciplinary collective, where she created award-winning satirical shorts. Ibarra is the recipient of numerous fellowships from, among others, the Rockefeller Foundation, the New York Foundation for the Arts, CPB/PBS Producer’s Academy, NALIP’s Latino Producers Academy, and Creative Capital. She is also the writer/director of a feature film in-development, Love & Monster Trucks. Erin Ploss-Campoamor is an award-winning filmmaker, with experience in both documentary and narrative, the director of several shorts and the producer of a feature film, Dark Mirror (IFC Films). She wrote and directed the semi-autobiographical short film La Americanita (The American Girl), which won two Best Short Film awards, as well as the short film April in the Morning. Erin is the producer and co-writer ofLove & Monster Trucks, a feature length narrative film, in development, for which she was recently a semifinalist for the Sundance Institute’s Creative Producing Fellowship and the Sundance Writer’s Institute. Ploss-Campoamor was born in Canada to American parents and raised all over North America in an extended multicultural family, speaking English, Spanish, and French.